A staggering amount of coastline and lush mangrove wilderness to explore. While the rest of the Bahamas is postcard pretty, Andros has a wilder side. As the largest island in the whole of the Bahamas chain, luxury yacht charters have a staggering amount of coastline and lush mangrove wilderness to explore. These virginal mangroves, gauzy sapphire blue holes, and thick swamplands are home to endless birds and wildlife, not to mention one of the largest barrier reefs in the Caribbean and the world center for bone-fishing. Being largely uninhabited, you can be sure that Andros sits far from the cruise ship and tourist trail so synonymous with much of the Bahamian waters. One of the best things about choosing Andros for a luxury yacht charter is the fact that you have a whole 100 miles of coastline to call your own. Being the largest and least full for its size of these out islands, ensures more than enough space for all. Deserted stretches of sand, mangroves without another soul in sight, mystical caves, and pot holed roads without any public transport truly put you far from the beaten track. Andros is a land scattered with myths and legends, which only adds to its allure. Yacht charter guests with an active imagination are sure to be tantalized by tales of 75-foot-long mythical sea creatures, homemade love potions collected from trees, and tales of 3-foot-tall barn owls with only one eye – known locally as the Chickcarney. Pile on top of the tales – stories of buccaneers and pirate lore and you have a place seemingly torn from a child’s book of fables and fairytales. Andros is the bone fishing capital of the world thanks to its endless expanse of flats, weaving waterways, mangroves, and swaying sea grasses. The silver hued fish are quite a challenge to catch as they blend beautifully with the white sand and can be quite smart. For savvy anglers who want to try their hand at hunting this sophisticated fish, Andros boasts plenty of opportunity to cast your line in boat free waters and see what you pull up. 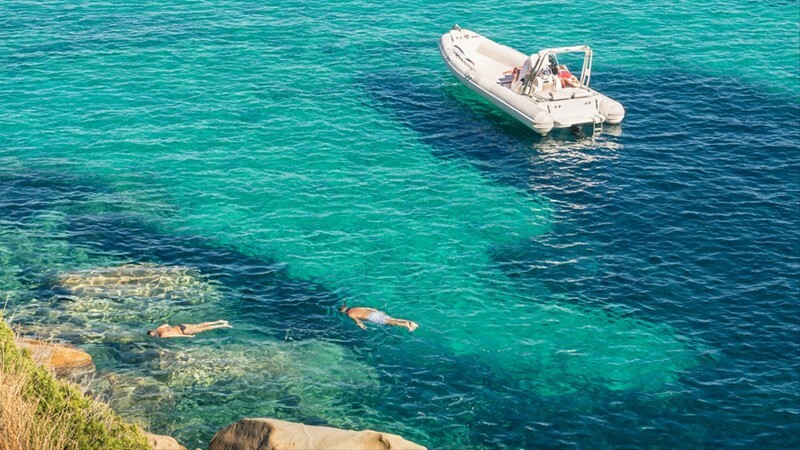 Close to 200 miles long and over 6 thousand feet deep, the Andros Barrier Reef is a dream come true for yacht charter guests who adore snorkeling and diving. Sitting on a spot called the Tongue of the Ocean, the Andros reef has been declared a rainforest under the sea. 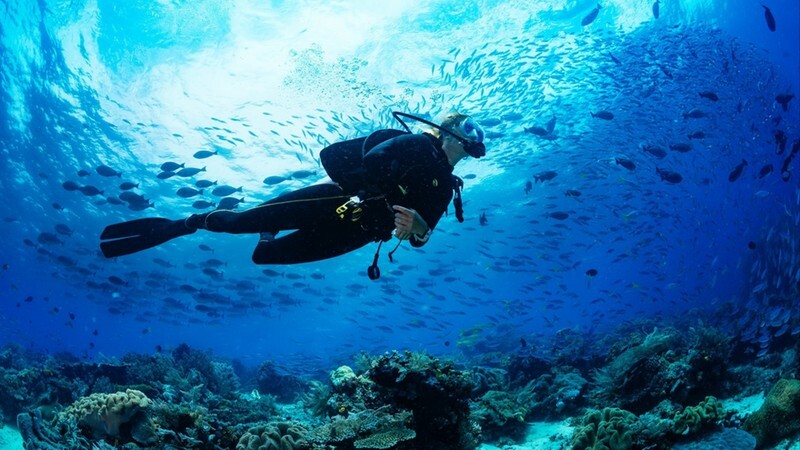 You can see hundreds of different kinds of fish, giant tube sponges, rainbow coral of different calibers, and even humpback whales and other deep sea wonders. Andros Town sits in the center of the biggest island in the breathy blue Bahamas, and is the spot for shopping, dining and reveling in cool cabana bliss. Those looking for a closer glimpse into the local culture and to take something special back to the yacht, will be utterly enchanted by a visit to Androsia LTD. The beautiful batik factory has been in business since the 1970’s and watching the workers create patterns with ancient wax techniques is nothing short of spellbinding. Taking your luxury yacht charter northwards and you will pass Fresh Creek before hitting the fragrant pine tree forests, endless white sands and limestone cliffs that make up the north. 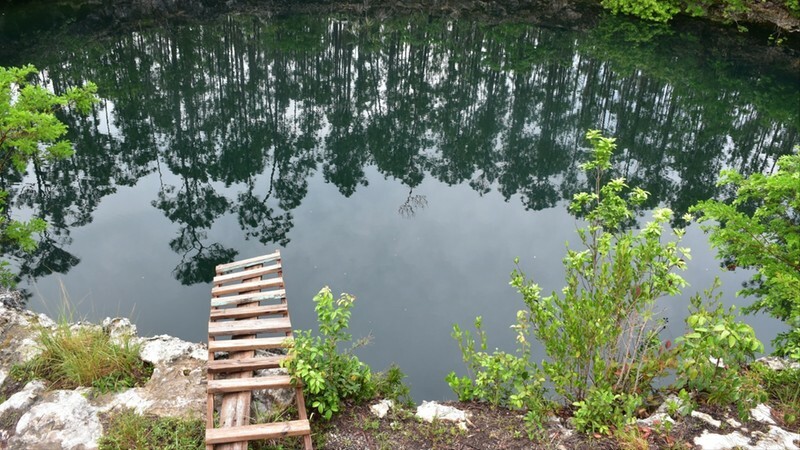 Here, up in North Andros, is where you will find the delivers delight of the mystical blue holes. This area of Andros boasts a higher concentration of Blue Holes than anywhere else on the planet, making it an unmissable spot for anyone with an affinity for jumping into the unknown. Down in the south of Andros, yacht charter guests can catch sight of tiny pastel painted settlements and a whole economy built on bone fishing rental boats and scattered boutique resorts. There is nothing but golden beaches and green blue waters for as far as the eye can see. This is also where some of the strongest mythology in Andros comes from – like the mysterious Chickcarney. The wild eastern side of Andros offers over a million acres of pristine and perfectly untouched mangrove wetlands. Difficult to access without local knowledge and a boat, the fiddly fingers of tourism haven’t meddled with this spot yet. The mangroves also provide a safe breeding ground for scores of water birds and marine animals, so the air is thick with squawks and screeches. Taking a charter yacht around the island of Andros is best done between December and April for those guests seeking sublime weather and warm waters. Even though Andros offers year-round warmth, the lowest chance of rainfall can be found between these seasonal months. The highest humidity hits the island between August, July and September.